Generally, cult classics take a little while to really take hold of pop culture. 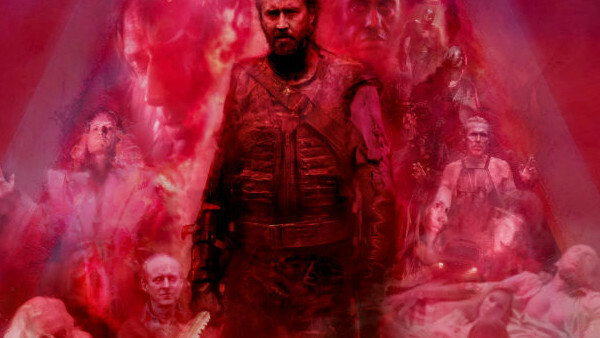 Director Panos Cosmatos’ film Mandy, was essentially an already established cult classic from the moment it was released thanks to its absolutely incendiary visuals, genre-soaked aesthetic, and the fact that it features one of the most phenomenal performances ever elicited from the legendary Mr. Nicolas Cage. And somehow, the first trailer for the film got all of this exactly right. It doesn’t go too deep into the narrative of the film itself, instead focusing on Cosmatos’ otherworldly visuals and Cage’s lead performance. It also certainly doesn’t hurt that it features a healthy helping of the late, great Jóhann Jóhannsson’s indelible score, which serves to heighten the horror, insanity, and beauty in every possible way. Overall, it’s just remarkable how well this trailer captures the spirit of the film. It feelslike the kind of pulpy novel that Mandy herself loves to read in the film, lovingly embracing the worn-and-torn nostalgia in a way that feels wholly unique.